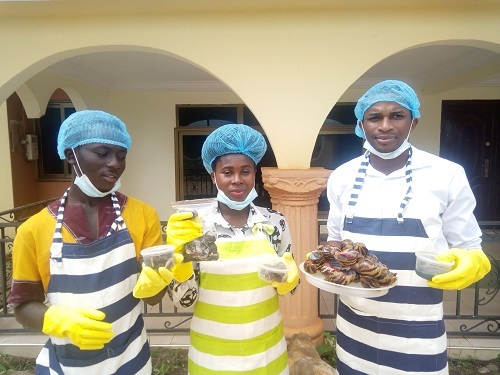 Likabs has the vision to become a snail trading hub preferred for farmers, businesses and households in Ghana and beyond, offering the aforementioned opportunities to farm and trade in snails. Objectives include; to create a sustainable farm leading to the increase of farmers income, help reduce the prevalence of malnutrition in communities and create employment in communication. Services Include: snail breeding-farmers are sensitized and assisted to start their own snail farms. Training: farmers are given regular professional training from expects in making sure farmers meet the required standards of Likabs. Also, EDUCARE insurance is an initiative still on the table of discussion with an insurance company. EDUCARE Insurance is aimed to help our farmers plan for children education. Under this when a farmer sells snails to Likabs-twenty percent of proceeds will be retain by Likabs for EDUCARE insurance whilst the 80% paid as cash to the farmer. Processing and packaging, and distribution- this involves the cleaning process of snails and packing into portable containers for sale to customers. Through our packaged Frozen and dry snail meat people of all races have the equal opportunity to access nutritious food at a low cost. Removed shell and slime are also sold because they are highly considered medicinal. Moreover, our android application is the underlying magic that will make Likabs stand out in the industry. Because the application will help farmers to access breeding, market information anywhere and anytime as well support Field Officers in the coordination and monitoring of farms. This would enhance the relationship between field workers and farmers. Moreover, customers will also have the ability to order snail meat, shells or snail slime through the android app of Likabs. 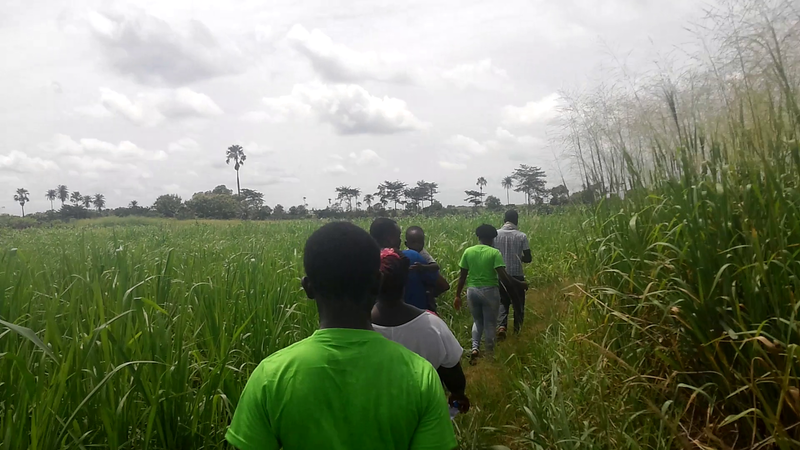 Now, about 11% of the worlds population are chronically undernourished and many as 1.2 million Ghanaians are considered food insecure and undernourished. For instance, through Likabs, Vitalis Nyamekye a snail farmer can improve his family daily diet, get ready market to sell his snails for increase income, enjoy regular training, and moreover benefit from an Education insurance scheme for his children. And with hundreds, thousands to millions of farmers enrolled into the programme we could stand the chance to feeding an estimated 9 billion people with nutritious food with improve households income by 2050. Furthermore, with more farmers enrolled, supply would meet demand which has been a bigger challenge in recent times and therefore making it more accessible, affordable and safe to eat. This could also go a long way to support SDGs goals 1, 2, 3, and 8 as well improve the foreign earnings for the country through export to Greece, China, Belgium, France and Italy etc. Currently the project is selected among the 10 finalists in the 2018 Thought for Food Global Challenge and again selected by Science Disrupt in the top 5 of 5 global Startups that has the potential to feeding 10 billion people by 2050. Customer segment: our customers will be restaurants, households, and local food joints located in Ghana. However, local food joints and restaurants targeted share values and needs that revolve around healthy eating and local farming of snails. Value Preposition: Likabs stand out more than others because of our ability to bring a unique food product that is made fresh and organically, and affordable for every caliber of persons than competitors. Also, the business location plays a factor because restaurants and local food joints will receive our product quickly due to our android application. Also, we will constantly keep contact with customers to establish that cordial relationship for trustworthiness. 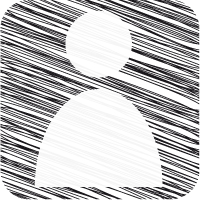 Customer relationship: to develop long-term relationships with consumers, this will be done through; product promotional activities, advertisement on social media and website, Postcards, discounts for bulk purchase, Seminars with restaurant owners, Street caravan shows Channels: Snail products will be delivered to the door step of customers through delivery partners whereas the Likabs hub, android application serve as supply mediation avenues. Revenue stream is however connected to sales made from snail meat, training fees, snail shells and slime. Key Partners: are reliable partners that share similar views about being environmentally conscious as well as uphold the vision of Likabs these include; CUG-Entrepreneurship and Innovation Center that would consistently assist us in doing future research in snails, Kofi Vinyo Company Ltd supports us in training farmers and Ghanson D Ventures will support us with young snails to be distributed to farmers. Key Activities will include; Breeding snails, training farmers, Monitoring and research, Processing and packaging, Distribution. Key resources: Facility for breeding, storage and production and Tri-cycle motors for delivering. Cost structure: for the venture encompasses the Operational/production cost, Maintenance cost of farms, Marketing cost and Delivery cost. The project is managed by three entrepreneurs namely John Baptist Kabo-Bah(born in 1988) Kenneth Ofosu(1998) and Rachel Ghanson(1992). We all come from communities where majority people are farmers. John holds a BSc in Economics and Business Administration and a Diploma in Accounting. John has over four years experience in Leadership, project management, youth empowerment, and community development with special focus on entrepreneurship, Investment, and Finance. Previously John has steer affairs of organizations, and associations such as Project Assistant (LACERD), Deputy Returning Officer( Electoral Commission of Ghana-Akwapim North District), Campus Director(Hult Prize Foundation), National Coordinator(APHAS) and President(UWESU). Moreover, he is alumni for the YALI Regional Learning Center West Africa Emerging Leaders Program-Cohort 5 and also became the Head of State Delegate for Cape Verde in the 3rd Edition of the Model ECOWAS Summit 2018 held in June, under the theme: A New West African Owned-Economy: Setting the agenda for new opportunities. John is driven by his passion, and commitment to witness a sustainable economy with well-being of the people, no poverty and employment for all. Rachel is the CEO of Ghanson D Ventures, and a bead artist. She graduated from of University of Energy and Natural Resources where she studied Statistics. Her venture is into Agriculture(farming) , Bead making( handmade beaded accessories) and Event Management. She has passion for farming and skill training for young people to become entrepreneurs. Kenneth is an innovator, entrepreneur, technocrat and as well a Computer Scientist by profession with expertise in PHP and JAVA languages. He also developer in websites, mobile applications and good in microprocessors eg Arduino. Formerly, he was SRC General Secretary for the 2017/2018 Academic year at the Catholic University College of Ghana. And currently the P.R.O for the Faculty of ICST Students Association in the same school. Dear John I like your project very much. It is concrete, well organized and by the way, your website is exellent- simple and clear to understand who you are and what are you doing. I sincerely wish you best luck and big success in your work. 1) Can snails provide optimal nourishment for people? 2) How is the reproductive cycle of snails ? can they reproduce every month? if not, with what you substitute the non- reproducing time with? all the best on your project. It has a great future. 2) How is the reproductive cycle of snails ? can they reproduce everything? if not,, with what you substitute the non- reproducing time with? hi...your project is good and helpfull, food and good food are keys factor for every country that want to reach development. Snail is a sweet food of the mollusc family. It can be a really productive venture for farmers. Creative project you have here. Visit: https://www.entrepreneurship-campus.org/ideas/16/11434/ Mobile Cardiologist to read ,comment and vote if you find the idea inspiring. We selected this project as one of the top 10 most promising to feed 9+ billion people by the year 2050 as part of the Thought For Food program. This is a very dedicated team that is already bringing their project to life. Likabs Food u deserve all the support out there. U are really doing amazing job. Ur project needs to be supported. All the best Dwamena Rachel. Good Job comrade! Your project is great , However, let us partner in order to take further our ideas . You can also check on mine through this link, vote , comment and support it through your networks . Amazing project and power team! They have a well thought out business model that address nutrition security as well as economic advancement of smallholder farmers. I love the fact that snails have many uses too. They were a top 10 finalist in the Thought For Food Challenge too. 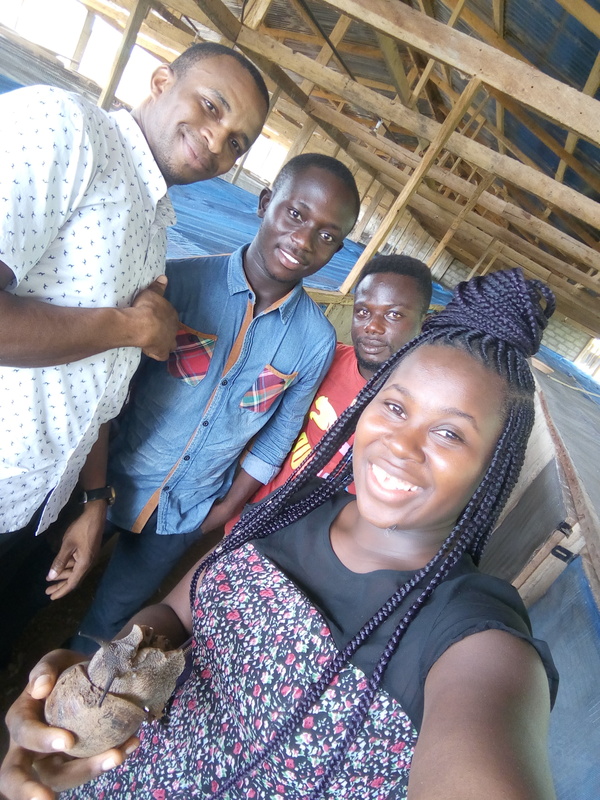 Dear All, your comments has really inspire me more in the pursuit for snail farming in Ghana and across the Africa Region. Together we can change the world we want to see in the next generation. I think is high time, young people become job creators not job seekers. John, keep going! it sounds a very interesting project! In my country, Cyprus, the last years, they use snails saliva for the production of cosmetics, they say it is very good for wounds and healthy skin! Excellent project. Snails have a high protein content, which can help to reduce the prevalence of malnutrition in the community. In addition, snail farming can increase farmers' income and empower communities. Very inspiring. I read your project and found it interesting. Also I learnt snails are a delicacy in Ghana and West Africa. I know with your profile of the 3 of you, you can achieve more and more. Keep moving! Which part of your work in your concept can be turned into fun and entertainment? Write down all the works and tasks, which are necessary for your concept.? In which other ways can you use the principle Turn work into fun and entertainment ? Who could work for you if you design the tasks in a fun and entertaining way (for example: customers, no-customers, suppliers, competition, community etc.)? Consider marketing strategies and actions that encourage your clients to take action or try out on their own.